WANT TO START OR GROW YOUR REAL ESTATE INVESTING BUSINESS? REGISTER FOR THE BREIA 2 DAY BOOTCAMP! WHAT IS THE BREIA REAL ESTATE INVESTING BOOTCAMP? The BREIA Boot Camp is a 2 day intensive workshop that will outline all the information given in the highly successful BREIA Mentor Program. The Last Boot Camp we had an attendee close a deal a few weeks after with a $15,000 profit. That could be you! Don’t miss out on this opportunity! Ryan started working for a developer at the age of 19 doing everything from painting to collecting rent. 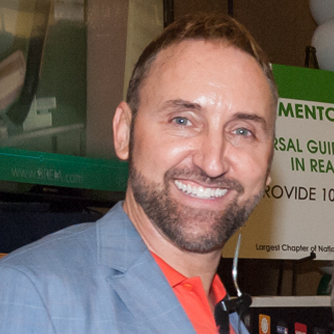 After graduating from the Ohio State University in 1996, Ryan relocated to Miami, Florida and has been involved in Real Estate investing ever since. From becoming head of Conversions and Marketing for one of the largest Developers in the state of Florida to then owning K.I. Properties, a wholesale investment company, Ryan has gained experience in many facets of Real Estate. Ryan is now the President of both the Broward Real Estate Investors Association and the Miami Dade REIA. Ryan has recently become the youngest board member for the National Real Estate Investors Association. As a licensed real estate agent , licensed mortgage consultant and a seasoned investor for the last 18 years, Anish is very passionate in connecting investors , agents and homeowners to change communities and create wealth for all those involved. Anish has a vast knowledge of real estate and a specialty in short sales. He joined the Broward Real Estate Investors Association team to direct the new BREIA/MD-REIA Mentoring Program with Ryan Kuhlman. Anish is now the CEO of both the Broward Real Estate Investors Association and the Miami Dade REIA. Recently he received the Top Real Estate Investor of the Year award for 2016 from the International Association of Top Professionals (IAOTP). THIS IS THE BEST REAL ESTATE INVESTMENT BOOTCAMP FOR A REASON! Learn truly innovative and on the cutting edge effective marketing techniques. Connect with some of the most sought after trainers in Florida, amazing vendors and other real estate professionals just like you! Now I am more confident to go out there as an investor thanks to these guys! Seats fill up fast, so secure your seat NOW! Grab your ticket today! Prices will increase if purchased at the door.